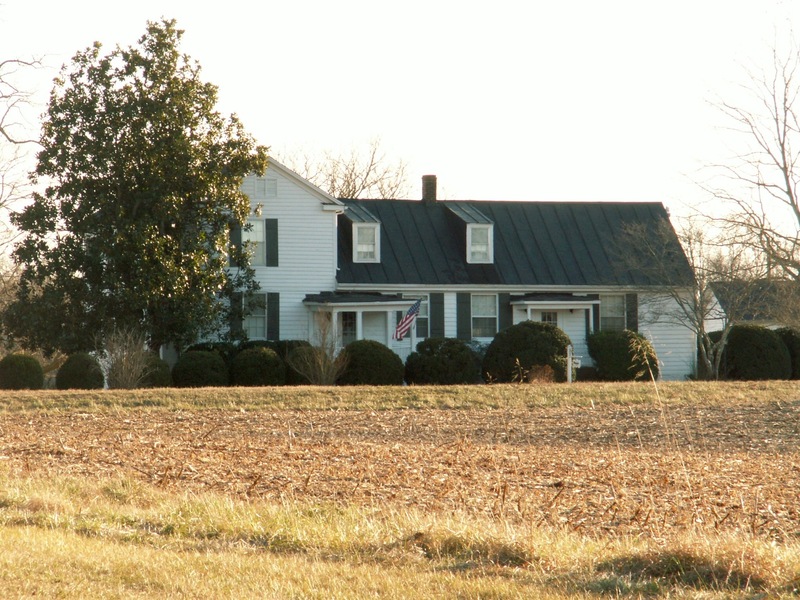 The Provost area of Powhatan County, Virginia was home to my mother’s Taylor ancestors for nearly 200 years. It’s an easy drive from Richmond and it is possible to see sites where I believe the Taylors resided. Today’s post covers the house called Provost and the Taylor’s long association. Typing Provost to your map software should deliver you to the intersection of Bell, Cosby and Cartersville roads. The Provost address is 4801 Cartersville Road. I like to drive west on Highway 60 and then turn right on Bell Road. As you turn right on Bell Road much of the land you see there was home to various members of our Taylor family for many years. The church they attended and the graveyard where their bones may rest, the Peterville Church, is located deep in the woods there. but that’s a story for another day. Continue down Bell Road until you reach the intersection of Bell, Cosby and Cartersville roads. The house on the left is Provost. John Taylor was my sixth great-grand uncle and he purchased the land Provost stands on 284 years ago. John was born about 1698, probably in Virginia, perhaps not far from his land grant. This land was a very good buy. There was abundant fresh water from springs and creeks, plentiful fish and game, the land was fertile and the cash crop of tobacco could prosper. The nearby James River was easily reached by the Deep Creek. Generations of Taylors could thrive in a place like this. In October, 1742, 273 years ago, John gave his brother William 100 acres of his 400 acre parcel. This 100 acre piece did not include the land where Provost would be built, since we know from deeds that William’s son, Robert, purchased it in 1793. Robert is my fifth great-grandfather and he must have been a successful farmer because he purchased much of the original land grant (and more) from his Uncle John’s descendants as they moved west or needed cash. Robert’s oldest son, Blagrave, (my 4th great-grandfather) married Judith Anderson on July 18, 1796 and later Robert deeded property to Blagrave. Perhaps the young couple lived in the house at Provost or Robert’s other adult children may have lived there as they matured and married, Certainly, as stated in the report, the residents would have taken advantage of the opportunities for commerce that the home’s location on a major wagon road presented. Do read the report and learn more about the home’s construction and more recent uses. For today, gaze at this beautiful home and imagine the Taylors living and farming on this property in 1731, 284 years ago. Picture the house in 1800 surrounded by fields of tobacco and wheat, all land owned by the Taylors for as far as you could see. If only this old house could speak and share stories of the Taylors and their kin. The Provost estate has been on the real estate market for over a year. 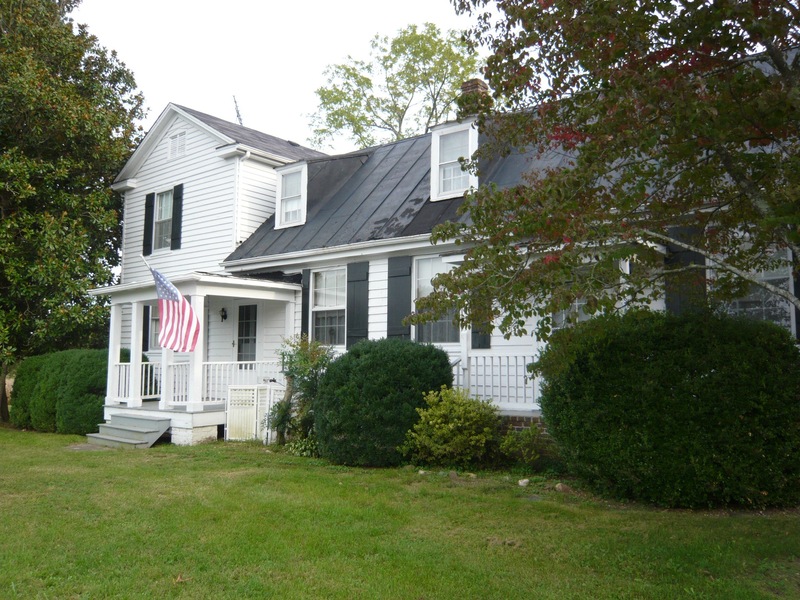 Wouldn’t it be wonderful to own a piece of my ancestral heritage in Virginia?